Porto is a destination which can be discovered by means of a variety of transport alternatives. Thus, the surface public transport system (trams and buses) is complemented by the underground system, turning the city of Porto into a place where visitors can get from one corner to the other in virtually no time. Biking is also possible in Porto, and taxis are also plentiful. Getting around by car, despite its inherent drawbacks, does have its advantages. 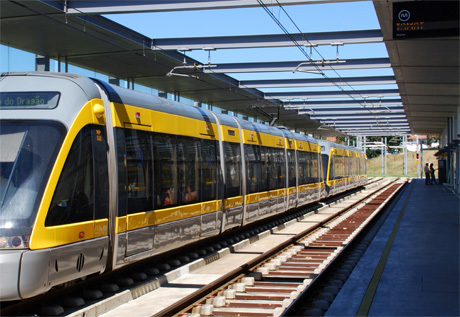 STCP is the company in charge with the local surface public transport system of Porto. The tram lines have been gradually replaced in time by bus lines, such that at present only 3 tram lines actually operate. Tickets and passes for the STCP network, as well as for the Andante network, come in all sorts of versions, from one-day tickets to multiple-day passes. The Andante tickets are said to be much more user-friendly and much more cost-efficient than the STCP tickets proper (Andante ticket owners have access to both the surface transport and to the metro lines). Porto Card holders can also enjoy major discounts while traveling by bus, tram or by metro. 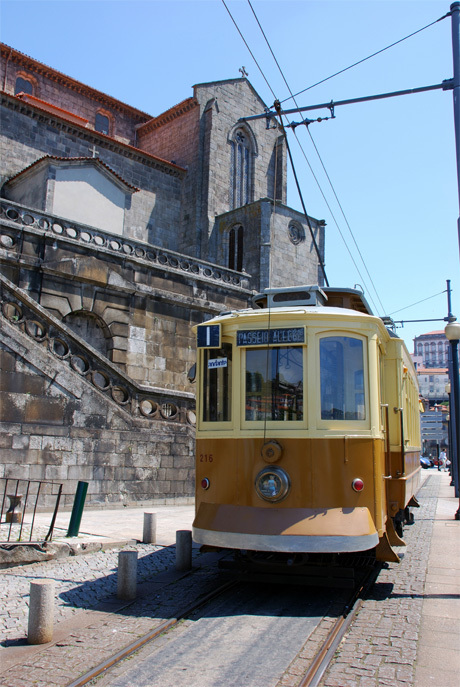 STCP also makes available tourist-oriented services, such as night buses or lines dedicated to airport transfers (lines 601, 602 and 604), not to mention the fact certain lines are put forward to tourists exclusively, so visitors of Porto can take the tour of the city while enjoying visiting the highest rated sights of the city. A further alternative in terms of public transport refers to Andante. This service was created by the so-called Transportes Intermodais do Porto (or TIP), combining the metro transportation with the surface networks, which guarantees tourists an extensive experience of Porto, giving them the opportunity to move more freely around in the city. The underground of Porto is crossed by six lines which reach from the center of the city to sundry peripheral areas of the Greater Porto region. Three of these lines cover the distance between Estadio do Drago and, respectively, Senhor de Matosinhos, Povoa deVarzim and the Airport. The latter is of special tourist interest, given it can be taken into account as airport transfer means. The other three lines provide the connection between stations like Campanha and ISMAI, Hospital de Sao Joao and Joao de Deus, and Senhora da Hora and Fanzeres. 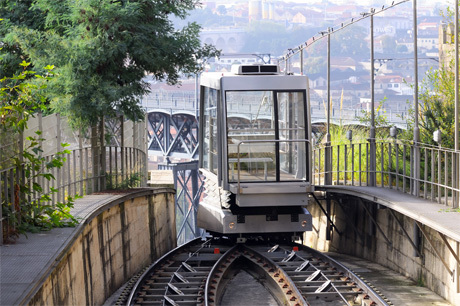 The funicular system of Porto establishes the connection between two different areas of the city, namely, Batalha and Ribeira. This means of transport is managed by the same Metro do Porto which is in charge with the underground transportation of Porto. The funicular system can be used by holders of Andante tickets also. For complete information on the ticket sale points, prices, schedules and schedule variation according on seasons, visit the official website of Metro do Porto. There’s no scarcity of taxis and of taxi ranks in Porto, meaning this means of getting around in the city is quite at hand. It’s true taxi rides can cost more than if tourists chose to resort to other public means of transport (metros or buses), but what matters is if they are needed, a simple call can solve the problem. On top of that, taxis are extremely efficient when it comes to airport transfers. Tourists must keep in mind taxi drivers must issue a receipt after the completion of the ride. In Porto proper, as well as at the airport, there are plenty of car rental companies which welcome tourists with a wide range of rental services. Thus, getting around by car is possible for visitors who get to Porto in any other way than by their personal vehicle. However, what tourists should keep in mind is driving around in Porto has its inner challenges, typical of all the big European cities. On the other hand, the surroundings of Porto are worth discovering by car, since this means of transport provides a sense of autonomy unmatched by other transport alternatives. Certain parts of Porto are definitely worth discovering by bike. There are two main cycle path in Porto. One of them stretches between the Luis I Bridge all the way to Matosinhos, whereas the other is laid between the river (the fluvial area, more precisely) and the City Park. Being a highly developed metropolis, Porto does not necessarily lend itself to being discovered by bike, yet the two mentioned paths do occasion tourists to discover the city this way. Bike rental companies can also be spotted in Porto, and their services too contribute to Porto’s possibility of being searched out on two wheels.